Eurodollar, being influenced by the fundamental background, continued falling and extended its wave towards level of 1.2290. 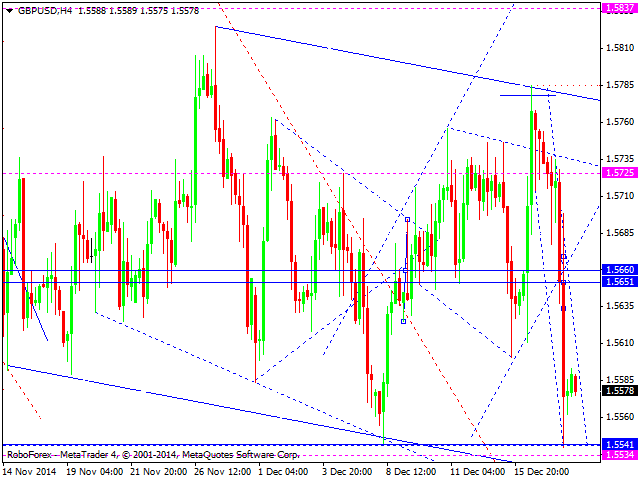 We think, today the price may reach this level and form a consolidation channel. 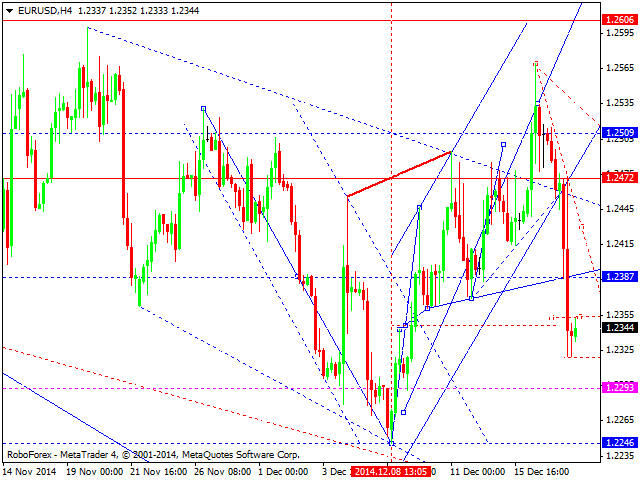 If later the price breaks then channel downwards, the pair may reach a new low; if upwards – return to level of 1.2472. Pound, being influenced by the fundamental background, continued falling towards a new low. The pair hasn’t been able to form a reversal pattern so far. We think, today the price may form another descending structure to reach a new low and then start forming a new consolidation range. Franc, being influenced by the fundamental background, continued growing. We think, today the price may reach a new high and form a new consolidation. 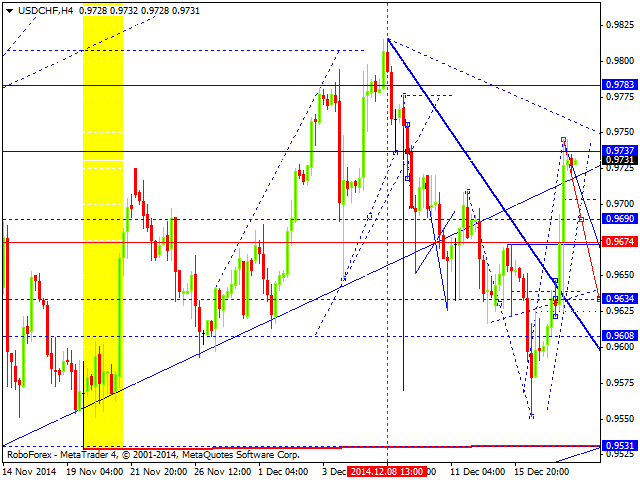 After reaching level of 0.9835, the market is expected to start forming a reversal pattern. Yen, being influenced by the fundamental background, has tested level of 118.90 and is trying to extend this structure towards level of 120.20. After that, the price may continue falling to break the minimum. 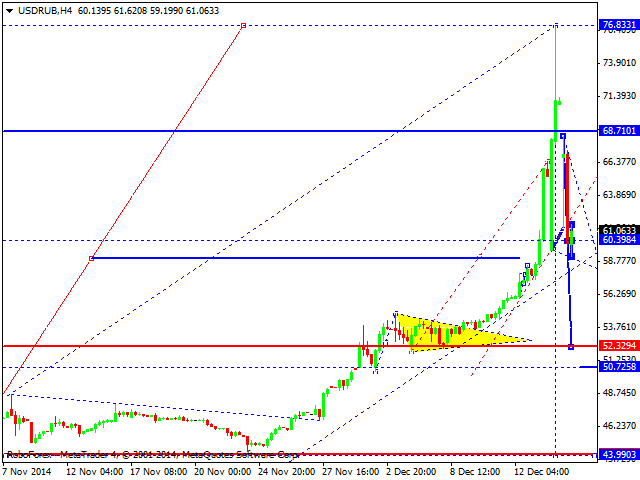 Ruble, being influenced by the regulator’s actions, is forming the third descending wave. 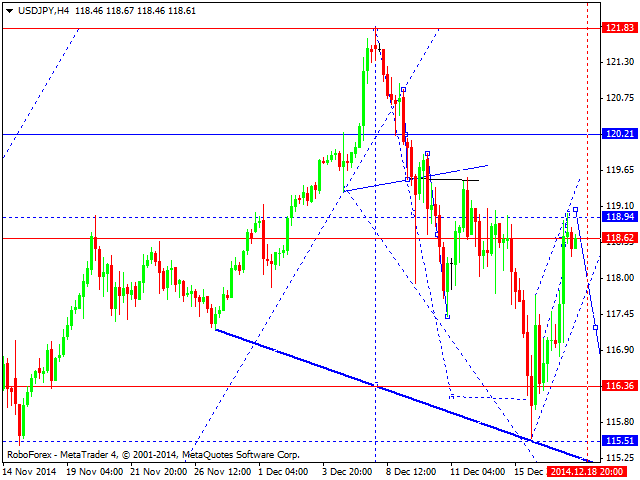 We think, today the price may reach level of 53.30 and then continue falling towards the next target at level of 45.00. 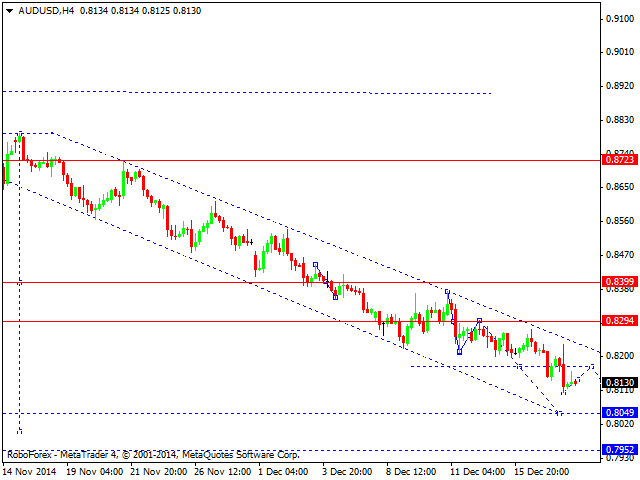 Possibly, this descending movement may continue without any corrections towards level of 60.00. 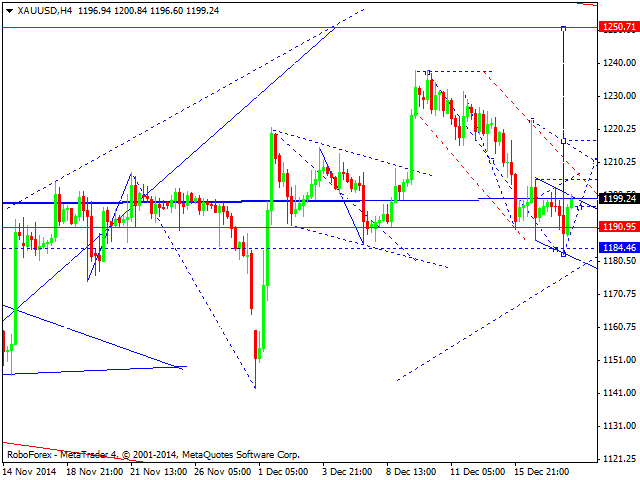 Gold is still consolidating and forming a structure to break its descending channel. We think, today the price may reach level of 1216. This ascending movement may be considered as the first part of an ascending structure with the target at level of 1250.